once again it's Bottas who gets the bad luck. Yup ... 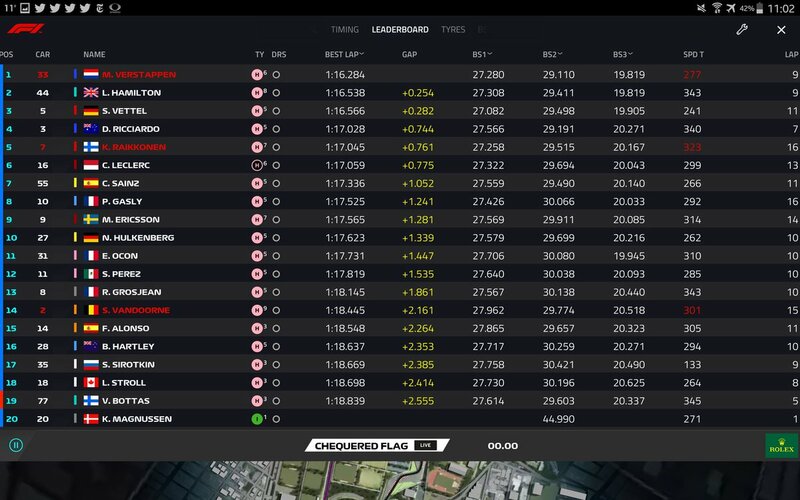 I think this FP3 is to get feel of quali sims as it’s short time & track was busy ..!! Mercs & ferrari didn’t turn up their engines yet. Interesting with Bottas' problems. There something definitely going on with Merc and high altitude races. As predicted both Ferrari and Merc are closer to RBR today. It's going to be close. Maybe Bottas will score 6th at best in the race tomorrow if he has an engine change. Maybe if Lewis manages without problems his engine will suffer later? Fingers crossed. At least there's a chance. It’s fp3 no one does their laps with full potential out with their cars. Bottas had his 3rd engine installed (Spec2) for Mexico. After the failure it will go back to factory for inspection. He will use his 4th engine (Spec3) for the rest of the weekend, that was last used at Austin. So no penalty for Bottas. But if the same issue for ham then it will lead to penalty for him..!! Mercs can take that, there is good buffer interms of points. Some taco wrappers were found on Bottas car along with some salsa picante inside the engine cover with an FIA marshall badge. Investigators have determined that it is a local and was found near a port-a-potty. The FIA and stewards have concluded that they will offer Bottas a weeks stay at Cancun for their troubles. The local marshall has been fired. . .
Looks like a 3 way like I said, what's the weather like?